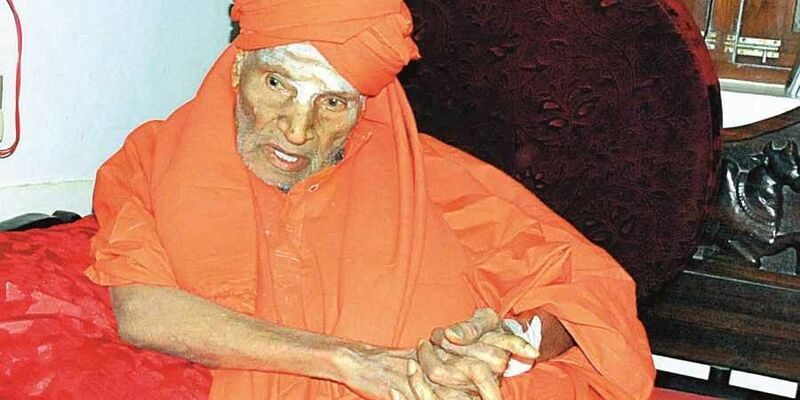 The 111-year-old head of Siddaganga Mutt passed away on Monday in Tumkuru in Karnataka. NEW DELHI: Stating that the nation had lost a great spiritual leader, RSS chief Mohan Bhagwat Monday expressed grief on the passing away of Shivakumara Swami of Sri Siddaganga Mutt. "I am deeply grieved by the passing away of Jagadguru Parampujya Dr Shivakumara Swami of Sri Siddaganga Mutt, who was considered as verily the God walking on earth," he said in a statement. "Our nation in general and Hindu Society, in particular, has lost a great spiritual leader and social reformer par excellence," he added. "Our second Sarasanghchalak Parampujya Guruji was very close to Swami ji and shared with him many spiritual and social concerns of our nation and society," the Rashtriya Swayamsevak Sangh (RSS) chief said. "RSS remembers with deep reverence the long association it had with Swami ji and the guidance he gave us," Bhagwat added. "I also with all humility and respect , remember the close association with Swami ji. On behalf of RSS and myself I offer my revered homage to the departed great soul," he added.